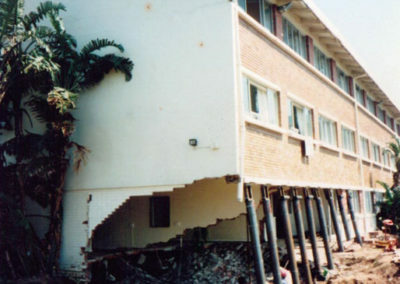 We repair all foundations in Durban and throughout South Africa. Leave your structure in our expert hands. Don't let a small crack turn into a disaster. 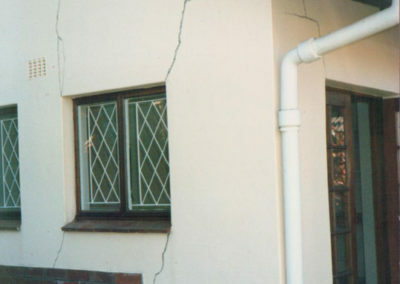 We are a specialist underpinning company, in business for 30 years. 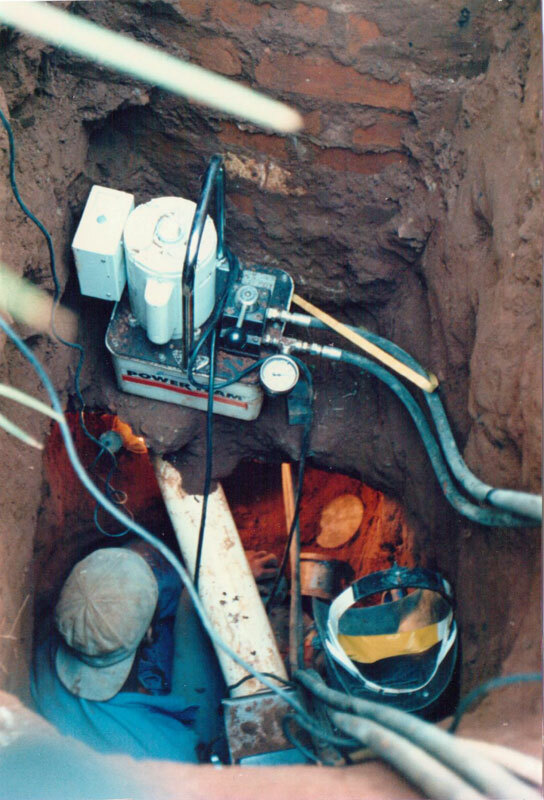 We use a unique hydraulic system known as jacked piling. This involves lifting the structure, and then securely welding and concreting the pins in position under the foundations. The unsightly cracks can then be patched and painted once and for all! We are now also offering building & property maintenance services where no project is too small. With 15 years’ experience in the building industry including insurance repair work we are more than happy to assist with your next project. Get in touch now so we can help you live better. We are a small family run Durban business that started in 1987, with a total of 114 years of experience from our team of 7 staff members. We have completed in excess of 800 underpinning contracts and a total of 4000 jacked piles. 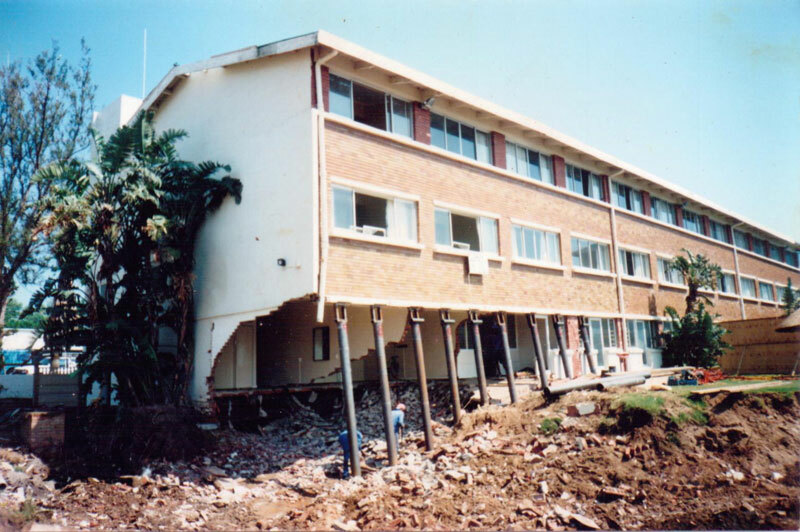 Our work so far has come by word of mouth, from NHBRC, from Insurance companies, and working very closely with the Civil and Geotechnical engineers in and around Durban. We will are happy to travel to other provinces to accommodate you. 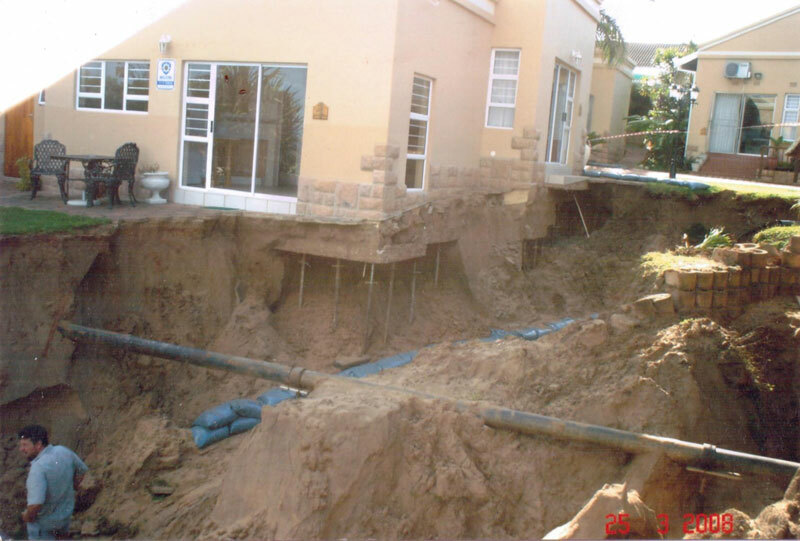 It is a process of installing a system of piles to give extra vertical support under foundations of various existing structures, where the soil is failing to carry the required loads. WHEN DOES ONE UNDERPIN ? 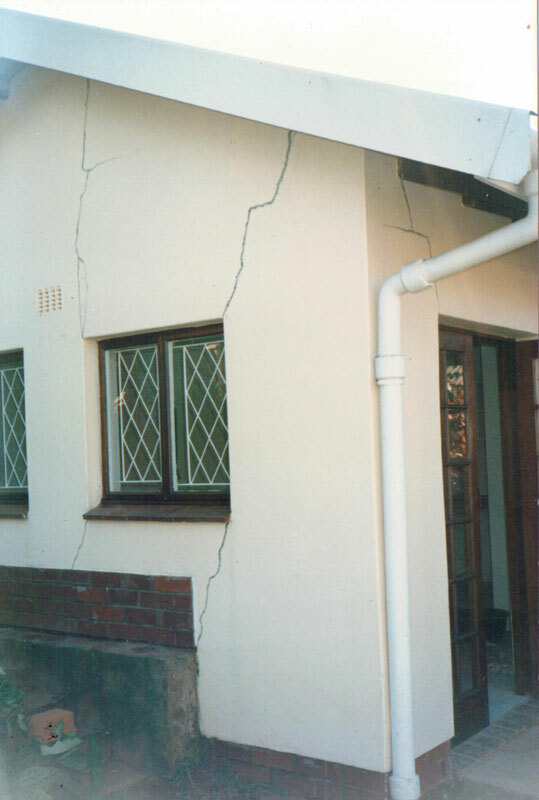 The first sign is the appearing of structural wall or floor slab cracks that indicate loss of the support from the soil below the footings. The cause could range from, underground water, white ant nests, old decaying tree stumps below the footings, various soil types and most common of all is builders who have not dug the foundation trenches deep enough and cast the footings in the loose fill material that is still in its process of consolidating. The shape, size and position of the crack pattern will indicate where and what must be done. 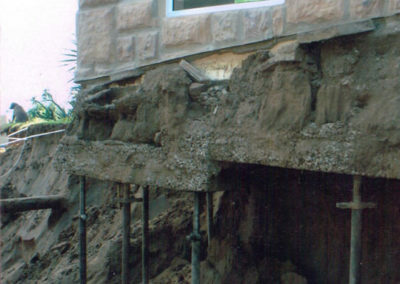 The most common method that is adopted by builders is the use of Mass Concrete that is poured under the footings, where they are attempting to increase the bearing area of the footing to reduce the pressure on the soil below. 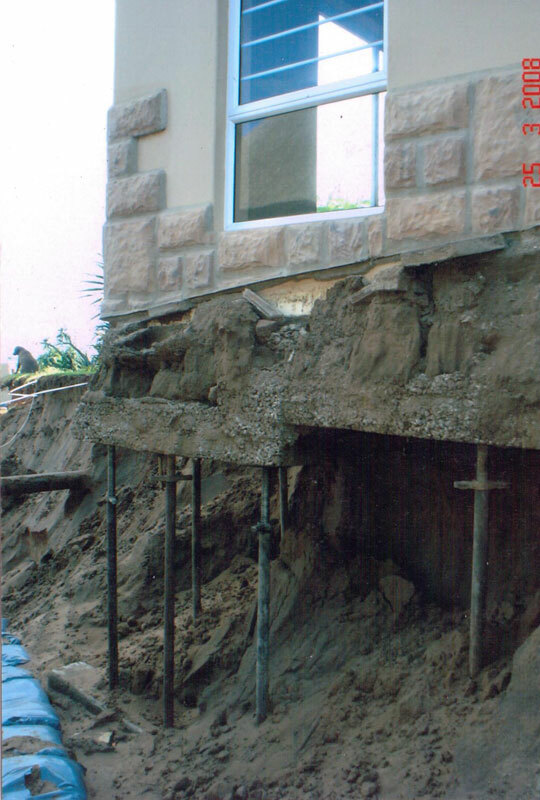 If this soft, loose soil is not all removed beforehand, the added weight of this concrete may only increase the rate of settlement and we will have to be break it out before we can position our pins. 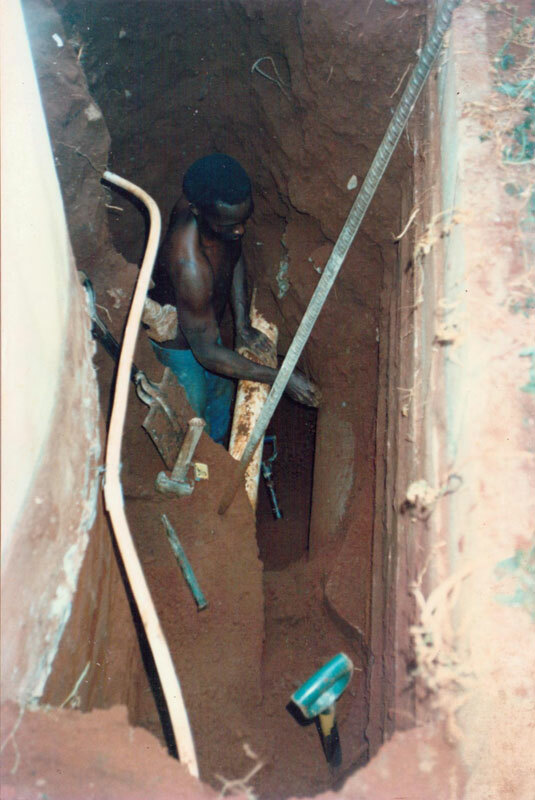 The next most common method is called the Auger pile or Haunch pile which is a round hole that is augured as close as possible to the wall with a supporting shoulder protruding under the footing. This is filled with reinforced concrete. 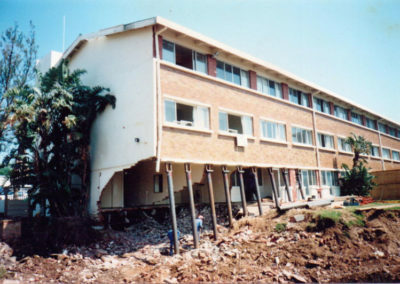 With both these methods one has to contend with fact that concrete shrinks before it cures and that the building above will experience further settlement before it loads these underpins. One will have to wait a good few months for the movement to cease before the remedial work on the wall cracks can commence. 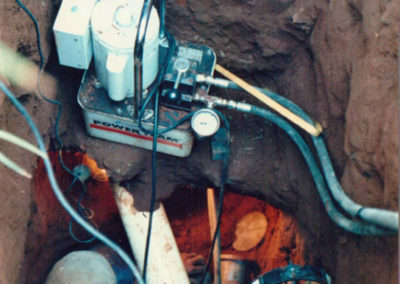 Both systems can work in the right conditions but with careful quality supervision and only be carried out by competent underpinning specialists. The system we prefer is Jacked Piling, where steel pipes are jacked into the ground directly below the centre line of the wall until there is an upward lift and then they are filled with concrete. 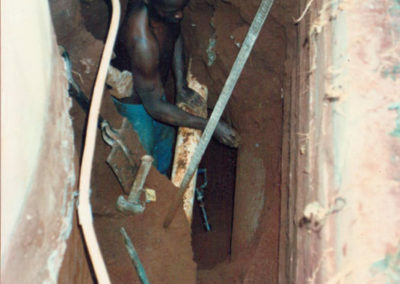 This steel lined concrete shaft which has founded on the rock below (or suitable load bearing soil) is then loaded with the weight of building above, by using hydraulic jacks and a system of wedges. This transfers a positive upward force into the building which ensures no further settlement. With this hydraulic jacking system we can sometimes close the cracks and also record the working loads at each pin position. 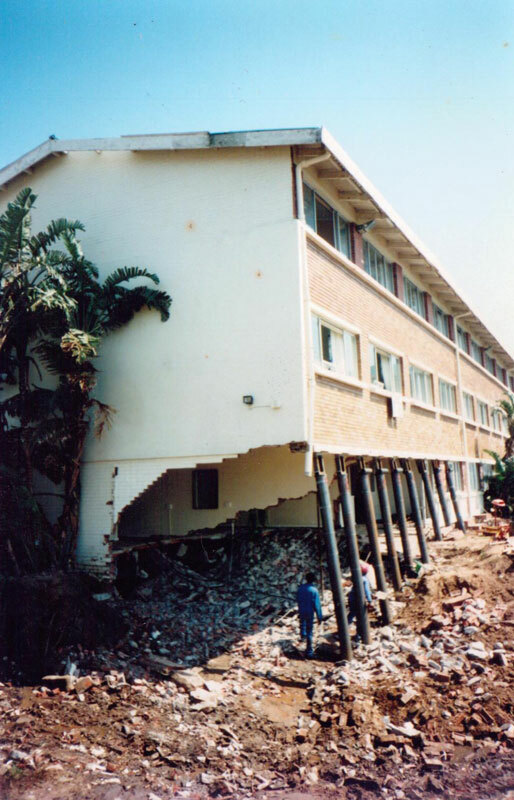 If this force can lift the building it will be able to hold the building. Don’t underpin and hope it will work. Underpin and be sure ! !